treatments, we can provide an overall better patient experience. and most daily activities can be resumed the following day. 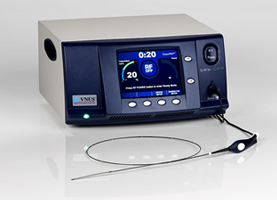 procedures and it can also be used for difficult-to-treat locations. of Sotradecol or Polidocanol into the involved veins. for closing the vein with malfunctioning valves or causing reflux. rerouted through the healthy deep vein. patient's situation to determine the best treatment option. The Vein Center of Northeast Ohio LTD. is a premier vein care and treatment center proudly serving patients from Trumbull, Mahoning, Columbiana, Geauga, and Mercer counties. Medical Director, R. Sudheendra, M.D., F.A.C.S., is one of only two surgeons in Trumbull County certified by the American Board of Phlebology. Every patient is seen by Dr. Sudheendra during their visit. 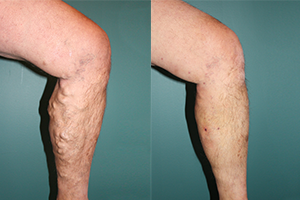 Our vein center diagnoses and treats every vein condition including Varicose Veins, Spider Veins, leg swelling, Deep Vein Thrombosis, skin color changes with and without ulcers, and many more. 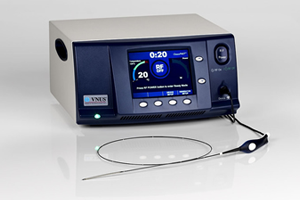 We offer a wide range of minimally invasive treatments including the Covidien Venefit™ Procedure (formerly VNUS® Closure), Endovenous Laser Ablation using the CoolTouch Laser, and many others. 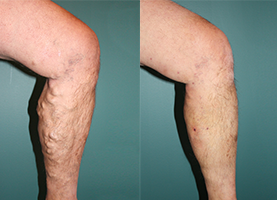 For 25 years I've had large, ugly, painful varicose veins which are hereditary. Nothing worked until Dr. Sudheendra's new treatment. I have my circulation back. My veins are disappearing and I even have some new shape to my calves. I highly recommend the Vein Center of Northeastern Ohio to anyone. Dr. Sudheendra has been the best medical experience I have ever had. Results from the procedure were wonderful!